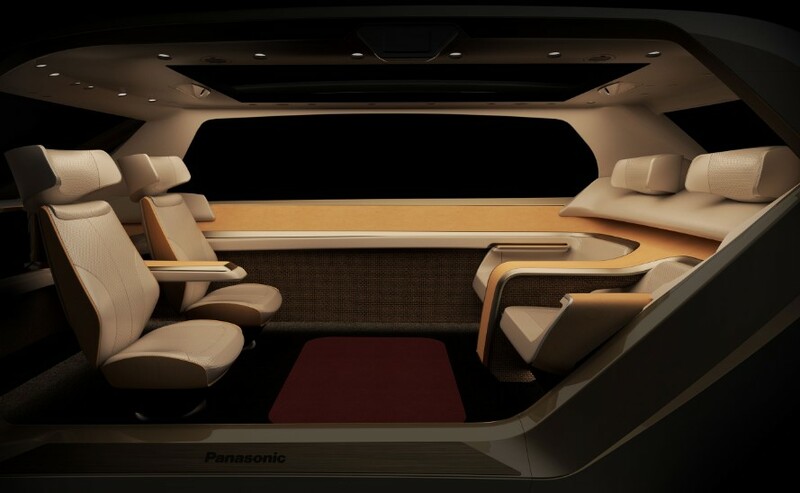 At CES 2018 Panasonic presents its concept future of car mobility with an autonomous cabin interior in the context of shared vehicles. 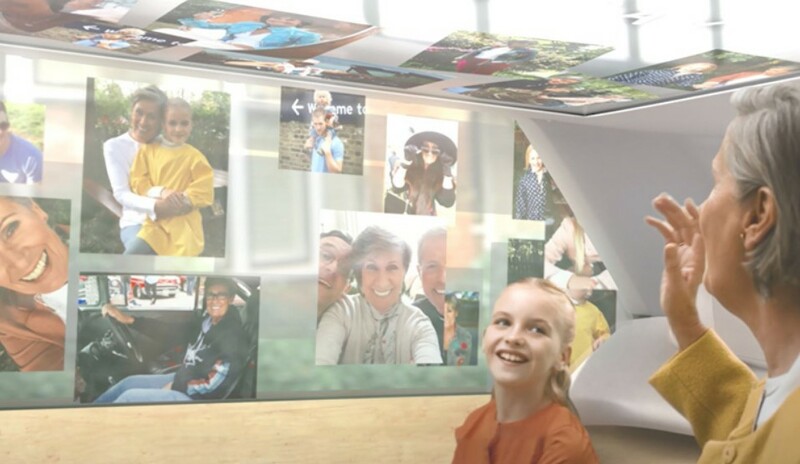 The concept is expressed as an Autonomous Living Space Cabin, which is not creating space for transportation alone, but also offers various valuable experiences as future living space. 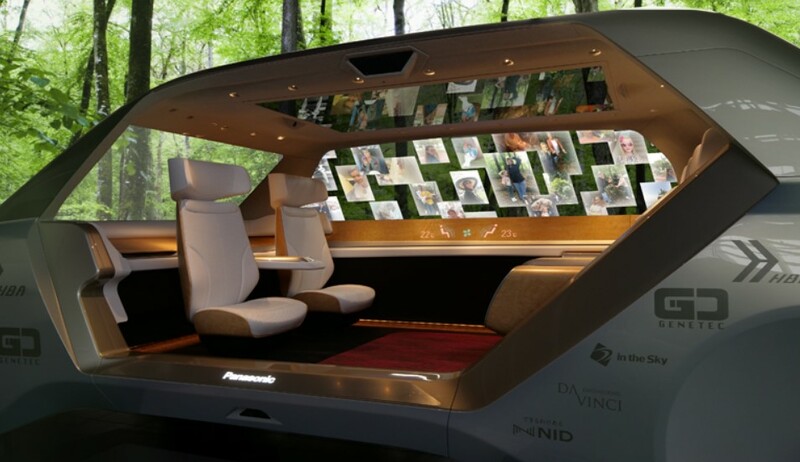 The famous company Panasonic has been extending its envisioned future of car mobility through several design concepts at exhibitions held in various countries. Private for valuing personal time. The design technology is based on light, images, sound, air, and scents, which appeal to the five senses, to provide experience value. The design team uses interesting technologies such as transparent displays on car windows that allow passengers to enjoy a new image experience, a lighting system that creates ambiences suitable for enjoying private time or entertainment, an LED display system that allows the displayed light to pass through real wood panels, and a technology that can generate various scents that match in-car conditions. “Much collaboration was required to achieve these technologies. These technologies were successfully completed in cooperation with many experts not only within Panasonic but also from outside the company and overseas, including service/product/CMF/UX/lighting designers, air conditioning specialists, and acoustic and robotics engineers” claims panasonic.net. One of the important and impressive displays is wide display system for automotive use that aims to prevent accidents caused by driving errors. This display wins a 2017 Good Design Special Award [Design for the Future]. According to panasonic.net “The system integrates the function of rear view mirror and side view mirrors allowing the driver to gain a clear view of the conditions around them. This system requires less driver’s eye movement in comparison with the past, and allows the driver to rapidly absorb information on pedestrians and road conditions. This speedup in information absorption by the driver is designed to prevent accidents. The concept for creating a world with a sense of security and safety proposed by Panasonic Design is what supported the development of these devices”.